Bullying is not mentioned by name in the AOM Code of Ethics. However, principles laid out in the Code make it clear that such behaviors are not appropriate. Members commit to uphold these principles when joining the association. By understanding AOM's expectations and knowing about the help available for dealing with problematic situations, we can improve our own professional ethics and serve as a resource to others. The principle of responsibility points to the importance of trusting relationships and the necessity of avoiding conflicts of interest that could lead to exploitation or harm. The principle of integrity states that members treat students, colleagues, research subjects, and clients with respect, dignity, fairness, and caring. The principle of respect for people's rights and dignity affirms the worth of all people and the rights of individuals to privacy, confidentiality, and self-determination. This principle clarifies the expectation for awareness and respect for cultural, individual, and role differences. Members try to eliminate the effect on their own work of biases based on these factors, and do not knowingly participate in or condone activities of others based upon such prejudices. The AOM and its members are committed to providing academic and professional work environments that are free of sexual harassment and all forms of sexual intimidation and exploitation. AOM's principles are guideposts for members' attitudes and actions. The Code of Ethics is enforceable when we are interacting with others in our Divisions or Committees, at conferences or AOM-sponsored events. In other words, we have the right to address any issues we experience or observe. Review the Policies and Procedures or send an email to the Ombuds Committee with any questions: ethics@aom.org. While not enforceable outside of AOM activities, the Code articulates aspirational goals that guide us toward the highest ideals of research, teaching, practice, and service. The annual conference for 2018 focused on Improving Lives, and the conference for 2019 will focus on Inclusion. These themes call us to re-examine our academic and professional lives and recommit to principles articulated in our Code of Ethics. The following post was previously published on SAGE MethodSpace. 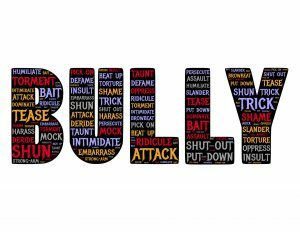 In our information-intensive age, many of these forms of bullying can take place online, with repercussions that extend beyond one's own department. The Internet and social media offer new ways for bullies to transmit harmful text messages, photos, or video, sometimes anonymously (Washington, 2014). It is easy to share private information without permission (Condon, 2014), for example, forwarding personal email, posting someone’s ideas out of context, or distributing work-in-progress shared in an informal setting.